In partnership with Education Africa, The Marikana Scholarship Fund was founded to aid the displaced and stranded children of the miners who were tragically killed in the confrontation with police at the Marikana mine in South Africa last year. The labour unrest across the country, especially the Marikana tragedy, has left many families without breadwinners. The initiative is founded on the belief that unless something is done to help secure the future of the affected children, the perpetual cycle of illiteracy and unemployment will continue to rise and remain epidemic for the next generation, and that education is the key to breaking this cycle. Education Africa aims for an educated nation, which in turn will lead to a progressive nation that is in a position to sustain economic growth. South Africa was recently hit by a tragedy on the 16th of August where a group of striking miners were shot during a confrontation with the police leaving 34 of the miners dead. The incident has shocked the country (and the international community) as it is the first time so many lives were lost all at once in South Africa since 1994. It is unfathomable how something like this could happen in democratic state where ‘striking’ is a legal action which is recognized and enshrined in our constitution. In the media coverage, this event has been dubbed as the ‘Marikana Massacre’. The tragedy will leave many families and children stranded because most of the dead miners were their sole breadwinners. It has been a few months but we have yet to hear a course of action from both the mining company and the government as to how they plan to help or support these derelict families. The strikes have mushroomed across the mining sector and have left more miners dead whose families are also left to face the same uncertainties about their futures. South Africa is among the leading countries where many young people remain on the margins in terms of participation in education, training, and employment. There are more than six million unemployed South Africans and of this number it is projected that 72% are those below the age of 34. As such, this project is not just a play but a fundraising campaign to help raise support for the affected and potentially stranded children, especially towards education. 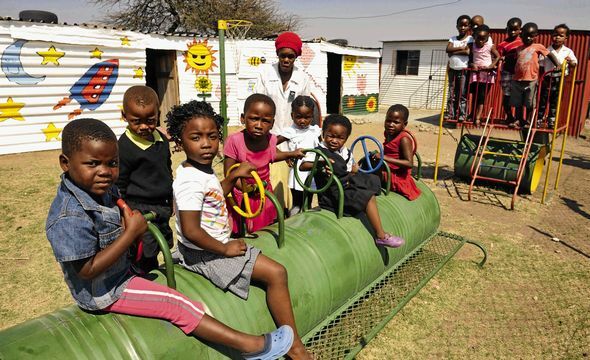 The labour unrest, especially the Marikana tragedy has left many families without breadwinners, and unless something is done to help secure the future of the affected children – we will see the perpetual cycle of illiteracy and unemployment continue to rise and remain epidemic even for the next generation. We believe that education is the key to breaking this cycle and unlocking the potential of these children to be our next distinguished scientists, doctors and artists, among other professions. Our aim is to invite creative partners such as theatre-makers, directors, producers, actors and potential sponsors such as social security agencies, organizations, theatre companies, private companies, among others, to join our collaboration in staging a season of the production in different countries around the world. This is to help us raise awareness and funds for the affected families, especially the children. To reach this objective, our aim is to coordinate a showcase of all the productions to happen within the 2013/4/5 time frame. (Please contact me if you want to get involved). Zimbabwe, Botswana, Namibia, South Africa, Kenya and Cameroon, among others.